It’s been a rather busy week here at the studio. This busyness has come in many forms, including a multitude of playtests that have offered insight into adjustments to existing experiences, gameplay on new upcoming maps, and future things I’d get in trouble if I talked about. Teams across the studio are nearing completion on the December update, and work on future updates is well underway too. Without delay, let’s take a sneak peek at what you can expect in the just-announced Cartographer’s Gift update - the next free batch of goodness coming to Halo 5: Guardians. As you can see, there’s plenty on the way, including a variety of new (SPNKr) Rocket Launchers, a new Warzone map, an Arena map as well as two new BTB Forge maps, a ton of new REQs, and of course, Forge. Let’s talk a bit about that last item first. 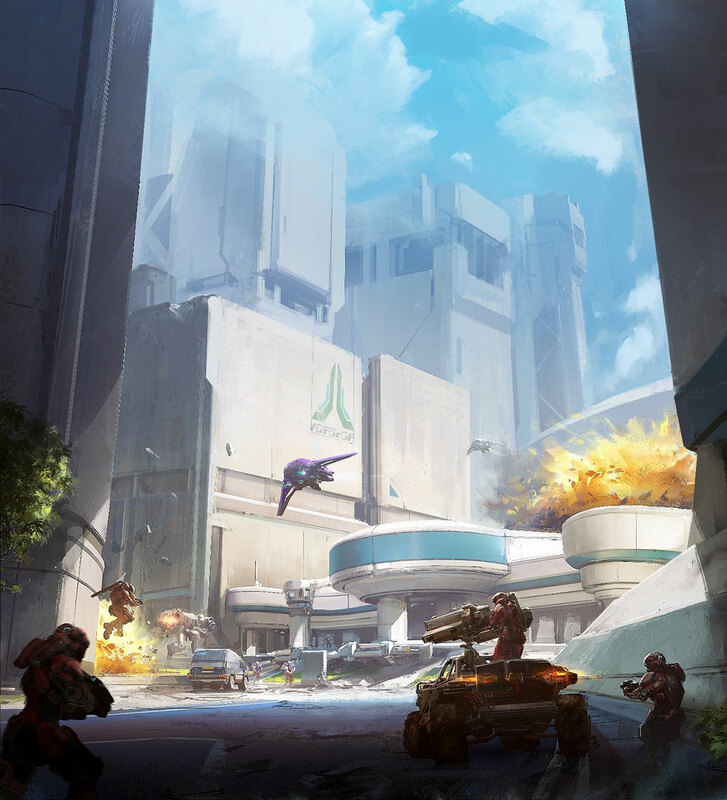 The biggest Forge yet (which was built on years of community feedback) is making its debut to Halo 5, giving this next Halo 5 update its holiday-appropriate name. The new Forge includes a ton of new features including 1700+ objects, new object types such as FX and sound emitters, decals, invisible blockers, projected terrain pieces, lighting objects, a new multi-selection control scheme, precision editing, object grouping, true budget system (with a higher object placement count), smart magnets, and plenty, plenty more. If you missed the initial overview earlier this year, you can catch up here for way more details, images, and even GIFs. At launch, Forge will support a basic implementation of File Browser, which will allow you to bookmark, play, and share maps and modes created by players on your active roster. This doesn’t require a “mutual” friendship, but only that you follow the player you want to grab a map from. From the player details page, you’ll be able to view a player’s files and their bookmarks. To grab a map or mode, simply bookmark the file, and it’ll be ready to play in custom games or open up in Forge. Similar to Forge itself, we’ll be making updates to expand File Browser functionality over future updates, based on your feedback. 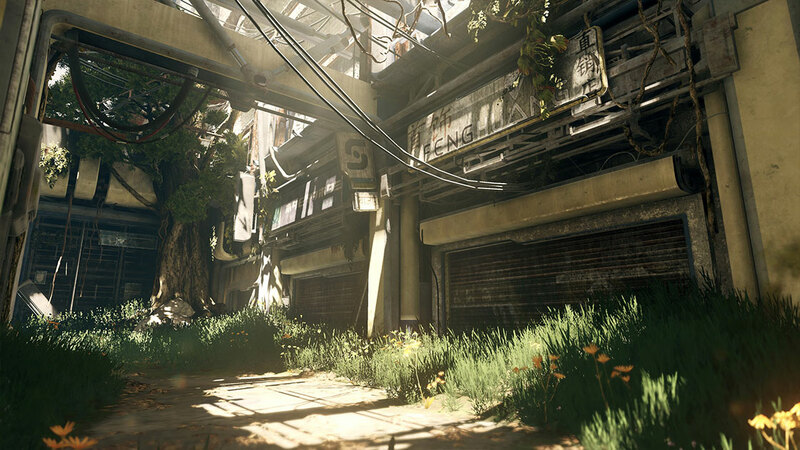 We can’t wait to see your creations, and I’m rather excited to sneak top community maps into some awesome social community playlists as soon as they let me. But, there’s plenty more Forge ahead. On next week’s Halo Livestream community update (in case you’re skimming, it’s Friday, 12/11 at 3 PM PDT on Halo Channel & Twitch.tv/Halo), we’ll be talking with the Forge team, showing off new features, and also taking your community questions. Be sure to join us! The Cartographer’s Gift update also brings with it the arrival of Seasons, which we last talked about in October. Seasons are a new competitive feature for Arena which will give you a chance to continually challenge yourself in ranked playlists, and also prove that you’ve improved your game since the last Season. The January 2016 Season will begin with the Cartographer’s Gift update (set to drop the week of December 15) and end on January 31, which will make the first season a little over a month long. Moving forward, we’re going to keep an eye on feedback regarding season length. We’ve seen your comments and concerns about Seasons being too short or too long, and we will be looking to hit the sweet spot to ensure that the duration feels just right. As stated above, you’ve still got at least a week to grind on your current (Pre-Season) ranks. Once the update is here and the season begins, all of your Pre-Season ranks will still be viewable on your Halo Waypoint Service Record, and all CSRs for ranked playlists will be reset, giving you a chance to place in each of these playlists again. As mentioned previously, at the end of each Season, those who qualified in at least one playlist (by playing 10 placement matches in any ranked playlist) will earn an exclusive seasonal pack reward emblem, only available that Season. Additionally, social playlists - one of which will be Big Team Battle - will arrive with this next update. Limited join-in-progress windows will be turned back on to allow for full matches of vehicular mayhem at (nearly) all times, and as a note, all social playlists will feature appropriate join-in-progress windows. We know you also want a mix of non-BTB social modes, and we’ll have a mix of currently available modes in a social playlist too - more on that next week. Oh, and while we’re talking playlists, the Cartographer’s Gift update will indeed include a Warzone Assault update to ensure players do things in the right order. The arrival of the January 2016 Season also provides us with an opportunity to make adjustments to CSR tuning, and this comes in two different forms. Some of you have noticed the ranking distribution for the SWAT and FFA playlists was a bit skewed, causing lots of players to end up in Onyx. We’ve confirmed this was occurring, and to correct this we have made adjustments to the CSR curve for these playlists. Additionally, the Multiplayer team has made some changes to placement match logic to address the issue of players placing too high across all playlists, and the new settings will ensure that your skill is more accurately represented coming out of placement. As always, we’ll be keeping a close eye on your feedback once these changes go live. There have been many forum threads debating the best player count for Halo 5 Free-for-All. Some players prefer the chaos of 8 player FFA. Others prefer the slightly slower paced 6 player FFA, which allows for a bit more methodical gameplay, map control, and more 1v1 battles. Over the past month, the multiplayer team has been playtesting tons of FFA in order to get the experience just right, and come the Cartographer’s Gift update and the January 2016 Season, Halo 5 FFA will be moving to 6 players. This decision is not one that was taken lightly, and ultimately, it was decided that 6 player FFA gives players a bit more room to determine who’s the best on the battlefield. 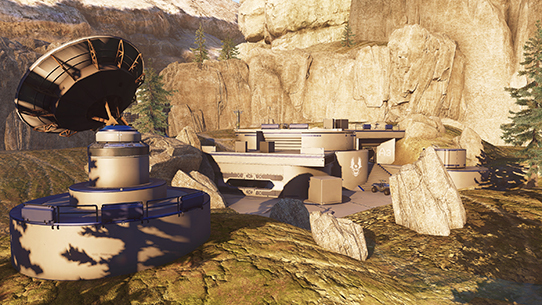 Earlier this year, you may remember getting a very brief, sneak peek at a certain yet-to-be-named Warzone map. For some time, the allure of this cityscape may have kept you curious and desiring to jump around the looping highway ramps and race down the city streets. We can’t blame you, ‘cause it is pretty darn fun. Battle of Noctus is the next map to join the Warzone lineup, and today I’ve grabbed a few members of the team to tell you about it. 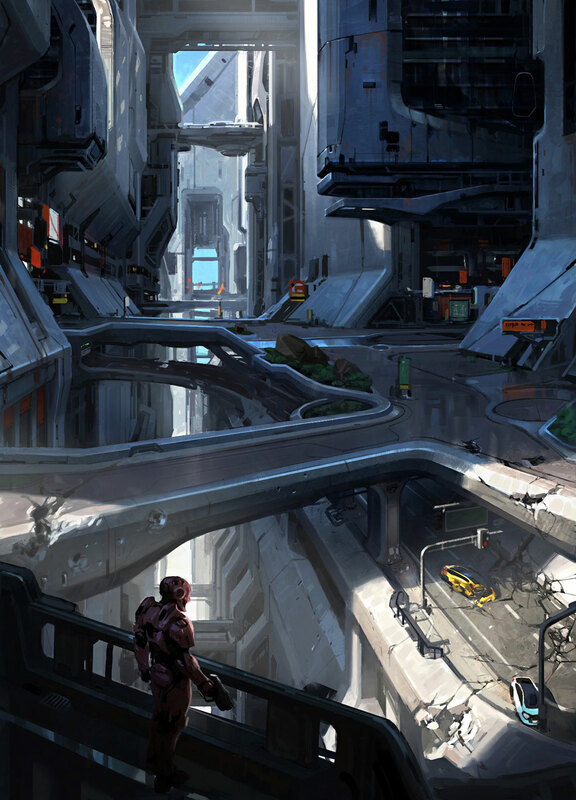 Very early on in Warzone development, we knew we wanted to build a Warzone map in a UNSC city. New Mombasa had some great franchise moments like the BTB urban combat in Halo 2’s Headlong and the Scorpion action in Coastal Highway from ODST (which is also a favorite of mine). The team quickly rallied behind this inspiration of a city-based Warzone map with lots of vehicles and infantry combat. Battle of Noctus has been in development for a very long time and it’s had a lot of iterations to get the gameplay space just right. As Bravo stated above, some of the teaser videos and trailers around launch had brief shots of this experience - great work by those of you who caught it in the trailers. We hope you’re excited! Battle of Noctus takes place on Andesia, and its Warzone setting is reminiscent of an Insurrectionist battle that took place on the planet. 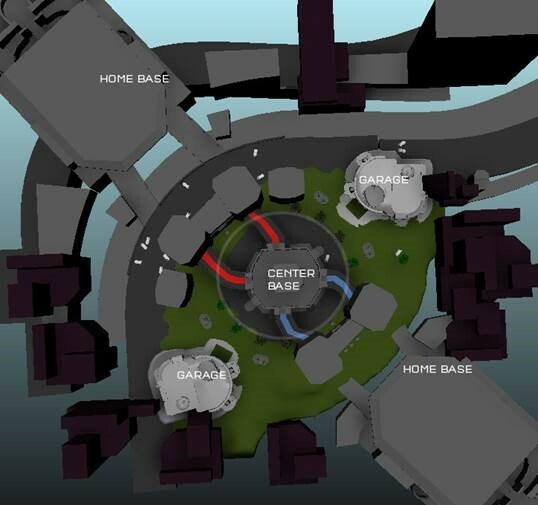 The Warzone base layout is unique to Battle of Noctus, with two garages on either side and a special Monument base in the center. Two garages really underscore the importance of vehicles on this map, it’s a Warthog playground in the early-mid game, with a great circle to drive around. Late game Scorpions are fantastic at defending or attacking home bases, and we’ve had many epic games break out in playtests here at 343. Fitting with the city theme, we also wanted to make sure infantry combat had a very big role, and there are several Man Cannons to get you around and avoid vehicles. The monument base in the center of the map is very infantry focused and feels somewhat like a mini Arena map as 1v1 infantry combat skills are required to attack and defend it. It’s been a great journey building Battle of Noctus, and we can’t wait for it to launch and hear your feedback – see you online! Battle of Noctus has been one of those maps that was challenging both artistically and design wise. 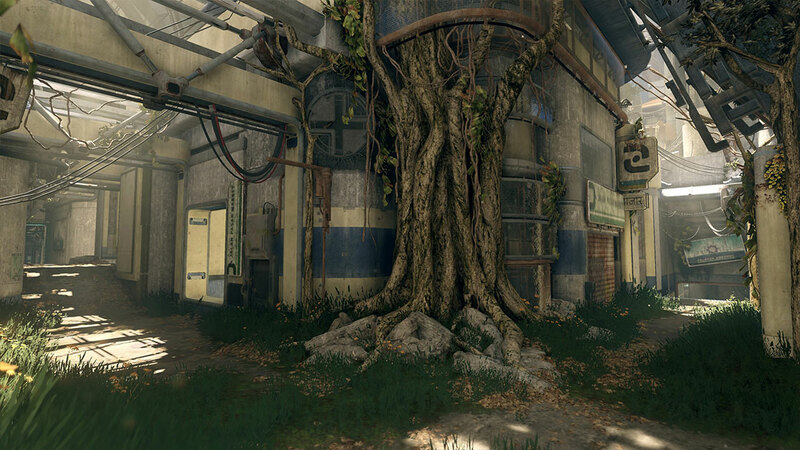 Wade Mulhern (Multiplayer Environment Lead) was the original guy behind the idea of this map. This area is a sectioned off part of the city which was once a tourist and historical spot on the same planet as Empire. A monument area created in celebration of the UNSC’s first flight into space travel. We played around with some ideas: Should it have the same feeling as Empire? Should it have some influence from Plaza? We went back and forth on the design and ultimately decided to go with a Brutalist architecture look. When we thought of monuments and historical sites, we thought of huge monolithic buildings with very simple detail to emphasize the importance of what the content of the area really is. One of the things we were working towards in the original block out stages was a huge open Warzone map to play off a lot of vehicle combat. One of the bonuses with that is we ended up making a lot of long sight lines which now helps in making this area great for long range combat with scope weapons like the BR and Sniper rifle. A challenge for us though was, “how can we get this to feel good and also run well for players?” Longer sight lines mean more visuals need to be rendered, so we had to play with a ton of different layouts to get that feel which we have now. The playlab’s been echoing obscenities recently, which means people have been having fun playing Battle of Noctus, providing feedback, and demanding that necessary tweaks be made. The map provides a unique Warzone experience that fits in nicely with the other maps. As opposed to linear progression, Battle of Noctus has more of a hub and spoke layout, with the hub being a space called The Monument: an enjoyable multi-level environment to battle over which provides players quicker access to the other points of interest on the map. Controlling it could definitely be the deciding factor of a match. Adrian Bedoya and David Ellis helped shape the design of this map, so I’ll let them go into more detail about the map’s nuances. 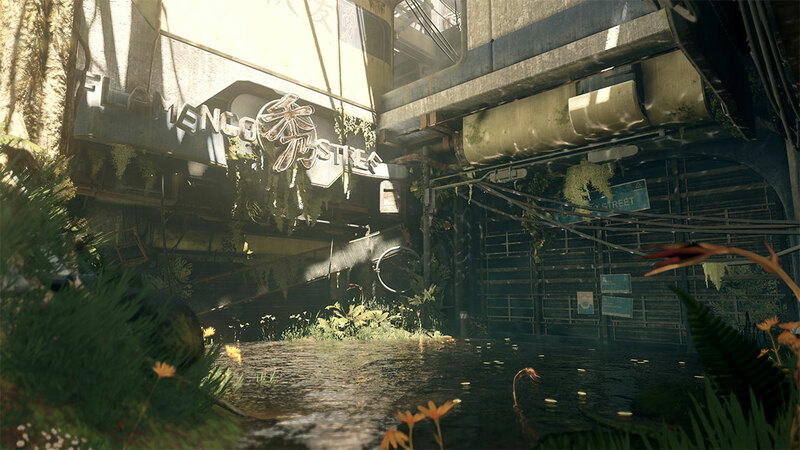 As a Warzone location, Battle of Noctus provides a rich dynamic setting with opportunities for ample on foot and vehicular mayhem. The open non-linear layout of the space means you’re regularly presented with meaningful tactical decisions over the course of a Warzone match. Do I purchase a vehicle immediately following the initial assault or concentrate on using the plethora of Man Cannons spread out across the map to cross the distances between bases more quickly? One unique differentiator for this map is the presence of two garages that teams can capture and hold to bring their vehicles to bear at a rapid clip. While I won’t spoil the boss progression for this environment, I will offer one tip - if you’re not careful, you might end up dodging attacks from multiple legendary bosses. With Battle for Noctus, we knew we wanted to have a showcase level for our vehicles while also maintaining a balance with engaging infantry combat and movement throughout the map. After working through some different design ideas on paper and 3D, I landed on a simple circular layout, two garages, and a central Monument. The idea was to combine the vehicle-heavy combat in the circular street with the focal point of infantry battles at the central monument. With the help of the art team, we took lots of inspiration from Brutalist architecture that emphasizes construction materials and a simplicity of form and structure. 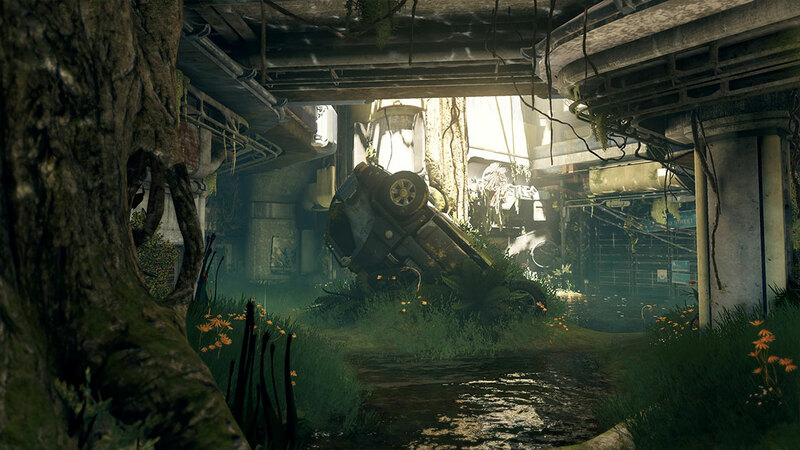 Yesterday, you also got a look at Overgrowth, the Plaza remix which offers significantly different gameplay thanks to a variety of tighter corridors. We’ll be showcasing some gameplay on the map on next week’s live stream, but for now, here are some additional looks at concept art and the final map to hold you over. We’ll be showcasing Overgrowth, Battle of Noctus, Antifreeze, and Entombed in next week’s stream. We’ll see you then. Whenever a new noteworthy forum thread or post pops up about Halo 5 UI feedback, I generally send an email to my UI friends, and they respond with “Yup, already saw it. Fixed in next update.” They make my job easy, and like many teams here at 343, they’re constantly looking for your feedback wherever you post it, so keep postin’ it. Forge Lobby will be accessible from the Main Menu under Multiplayer. New Forge Monitor UI built from the ground up for Halo 5. The current Season will be displayed in the Arena matchmaking menu. File Browser for Maps & Modes accessible from Active Roster and Custom Games, with File Options to Edit Name, Description, Save, Report. 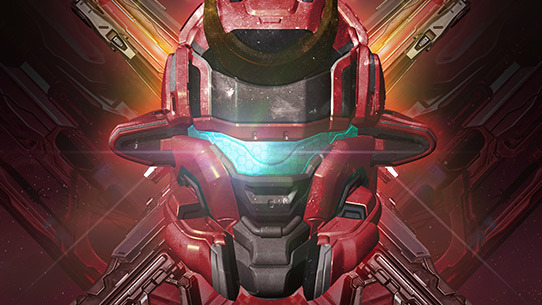 Your REQ Points and number of unopened REQ packs will be visible during intermission and in Lobby. Friend Status will now be visible from the Friends list so you can see what your buddies are doing in Halo 5: Guardians. REQ Energy Cost will also be displayed for all REQs when opening a REQ pack or browsing your Collection. Additional Controller Settings are being added (look for a blog next week). Adding hidden controls to Change Player POV without using the UI for up to 8 players in 4v4 or FFA (if this piques your interest, be on the lookout as we’ll have more details in an upcoming blog). From the Scoreboard, you’ll be able to Change Player POV to a selected player. Press the View button to bring up the Scoreboard; use d-pad to navigate and A-button to select a POV. Fixed bug around Player POV Selector sorting. It will now sort by team, and then alphabetically by Gamertag. There’s even more coming down the UI pipeline based on your feedback, but I’m told I cannot talk about these things just yet. In due time. The sandbox team has been hard at work on reviewing your feedback and implementing new tuning tools for controller settings, and as promised, this update will also include some additional updates for those who’d like to further refine their controller settings. For those of you who don’t wish to make any changes, you need not be concerned with what you just read, as the update won’t adjust your current settings. We’ll have more on the specifics coming at you next week from the sandbox team themselves. 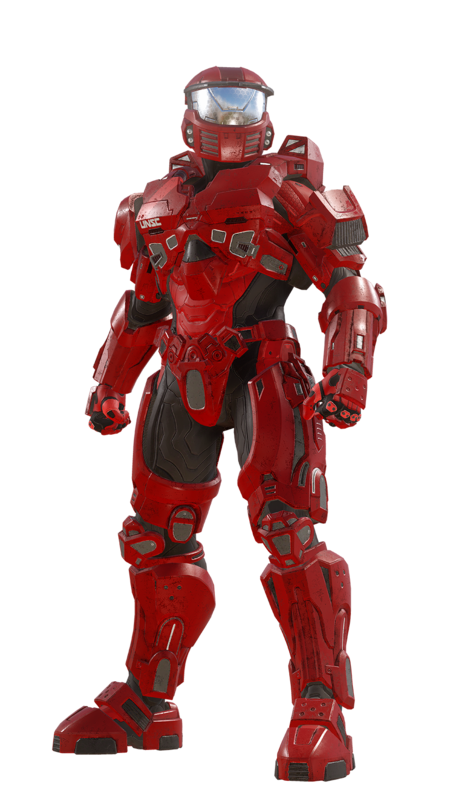 Before we move on, if there’s one armor I’m particularly excited about in the Cartographer’s Gift update, it is the Mark IV [GEN 1] set. It is inspired by the armor of Douglas, Alice, and Jerome in Halo Wars and this section of this week’s update is made purely to marvel at its greatness. There’s more to come in the December update (join us next Friday to see some of it in action) and lots more happening here across the entire studio. The Warzone team is currently running final tests on updates to Warzone level progression, the multiplayer team is hammering on new playlists and modes, the services team is actively making updates to increase ban length for excessive quitting, and plenty of other stuff we’ll soon be diving into. Oh, and we’re moving to a new building next month. We’ll be sure to show you around. This week, we caught a few random acts of kindness that simply must be highlighted. Also, I’m beginning to become suspicious about these sister clips that seem to come in pairs. In our first clip, aptly titled “The nicest thing I have seen in Halo,” DomeHunter19 calls in a random weapon in Warzone and gets an Ad Victoriam. After accidentally clipping the Spire balcony ledge with a Rocket and blowing themselves up, teammate Shargoth0801 grabs the power weapon and holds onto it, allowing DomeHunter19 to finish the job. You, Spartan, are too kind. Watch here. Just days later, we found a similar clip, where Zed Nightmare keeps a certain Binary Rifle warm for Dreamxr, and then runs off onto the battlefield, presumably to defeat foes and perform more good deeds. Watch here. 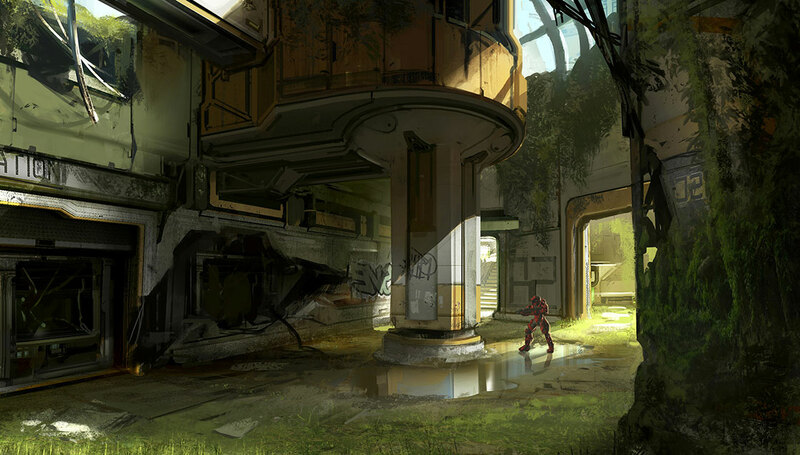 If you’re still looking to grab the HCS REQ Pack, be sure to do so before 12noon PT this Sunday. And, to the few dozen of you who were awarded 343 weapon skins for a short period yesterday, we expect to see you in the studio by Monday morning. In total, 57 Assault Rifle and 44 Magnums were given out, and if you were one of the lucky recipients, these are yours to keep. As a note, no 343 emblems have been awarded, so if you run into a player with a 343 emblem, you can be sure that you’re indeed teaming with or going up against a 343 employee. That’ll do for this week. Be sure to join us next week, as we’ll be talking lots more about what’s on the way. This week, the first of many free, regular Halo 5 updates will drop. The Battle of Shadow and Light update is nearly upon us, and today, we’ll talk about new goodness, some gameplay tweaks, and more, as well as recent playlist updates and some amazing anti-vehicle antics. Shall we? Over the past week, we’ve been playing with you, reviewing feedback as we tune existing experiences, and also preparing to deliver new ones. Today, we’ll talk about recent and upcoming game updates, as well as brand new content that will soon be on the way. Welcome to the weekly update, where we’ll talk about all of this and more. On Monday night, we joined together in a celebration that only Halo fans can understand. 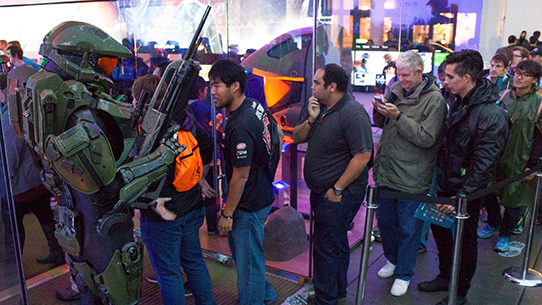 Whether you had Halo 5: Guardians pre-installed at home or went to a nearby store to pick up your copy on release night, you could likely feel a particular excitement in the air, and we hope that excitement resulted in an all-night (or day, depending on where you might call home) session of campaign, multiplayer, or a perfectly balanced mix of the two.